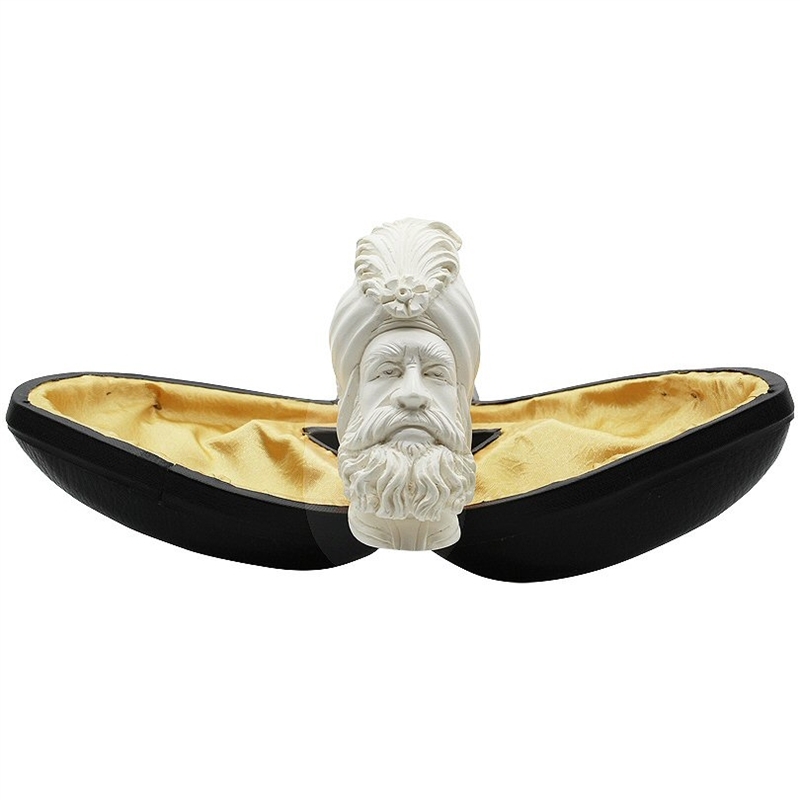 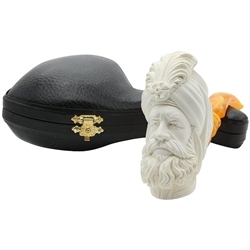 Deluxe Hand Carved Signed Ege Sultan Meerschaum Pipe - Tall Sultan head is carved showing a serious face framed with a flowing beard and a fine feathered turban. The carver's name, Ege, is signed on the shaft. 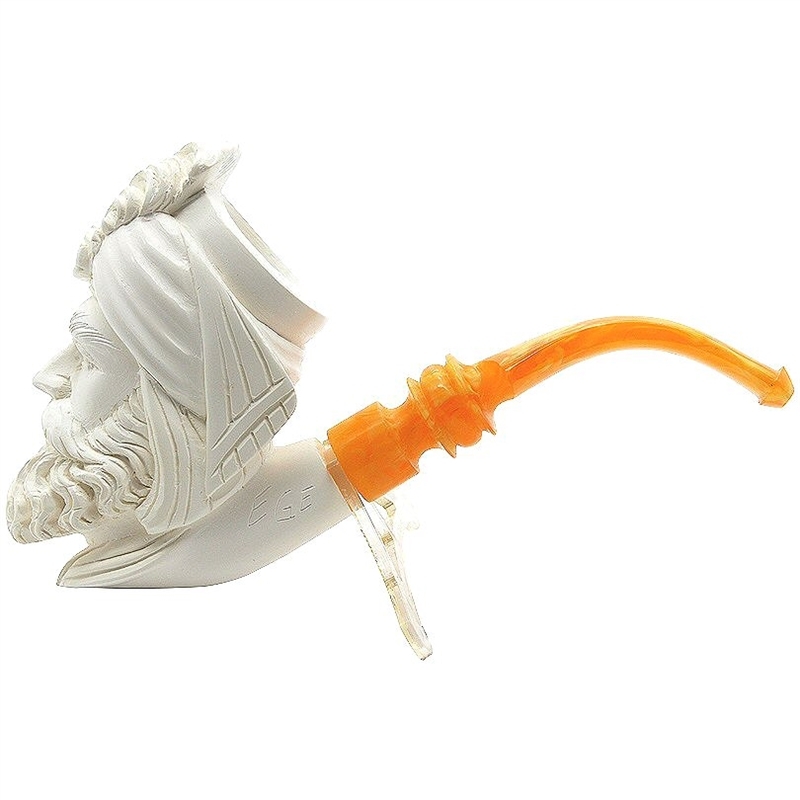 The pipe is finished with a scrolled designer bent stem in a light amber color.